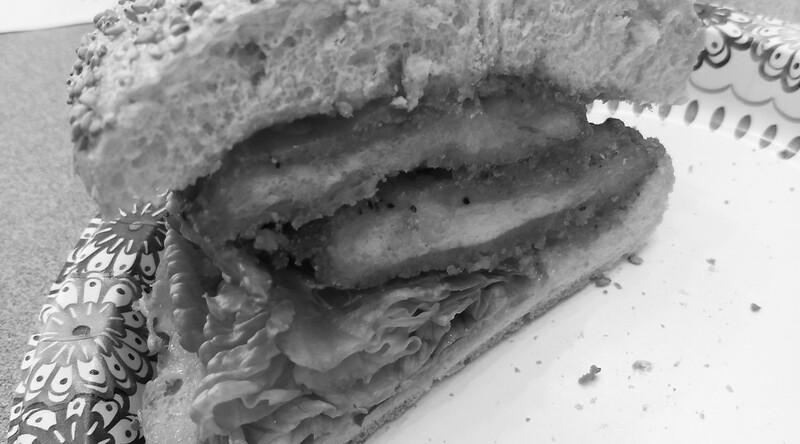 I propose that we begin to believe in the spirit of a sandwich. In recent weeks, the dam that kept Harvey Weinstein’s victims silent broke after decades of sexual abuse, resulting in dozens of actresses coming forward and detailing how he abused them. As of this past week, the number of women accusing Weinstein for such acts has reached over 40, with many more possibly still remaining silent. Hollywood responded quickly: Within a few days, former friends of Weinstein and his own brother publicly denounced him, he was fired from the company he started, and he was unceremoniously kicked out of the American Academy of Arts & Sciences. The Bill of Rights was added to the United States constitution in 1791 to better protect the individual freedoms of the American people. First in the list of these ten amendments are principles essential to maintaining our civil liberties: freedom of speech and freedom of religion. All Americans are given the right to freely exercise their religion, and Cooper Union students are no strangers to this on campus. Among a student body bursting with religious and cultural diversity, organizations like Intervarsity, Hillel, and the Muslim Students Association are vital to students’ life on campus. This article aims to explain the goals of some of these organizations, and offer insight into why it is so vital for these groups to exist on campus. Before diving into the details of what these groups have been doing, it is worth taking a look at the value of fostering religious diversity on campus. In any higher education community, allowing students to explore new avenues of collaboration and diversity holds tremendous promise and offers vast opportunities. Think about not allowing this religious diversity to be fostered at Cooper. We would run the risk of hardening stereotypes that run in society. Interaction and diversity foster understanding and love, whereas separation and exclusion foster hatred. Not allowing religious groups to thrive could serve well to deepen the cynicism near the discordant aspects of religion. We could discourage religious students in their pursuit of intellectual growth by failing to integrate spiritual growth. The encouragement of diversity and religious practice has a dazzling, positive effect on what a university education can begin—a life of deeper respect for difference and the intriguing and demanding work of envisioning a world where coexistence is a highly prized goal. John Inazu, associate professor of law at Washington University, wrote on pluralism, “Pluralism rests on three interrelated aspirations: tolerance, humility, and patience… Pluralism does not impose the fiction of assuming that all ideas are equally valid or morally benign. It does mean respecting people, aiming for fair discussion, and allowing for the right to differ about serious matters.” All of these qualities are not only compatible with higher education, but they are, in fact, essential for authentic learning. Even in an increasingly secular culture, distinct and diverse faith communities continue to exist and thrive. Because religion plays a significant role in American public life outside of the university, it should be represented within the microcosm of educational institutions. Removing clubs that are predicated on religious practices limits students’ exposure to the diversity they will face outside academia, a diversity that is both a strength and challenge of American culture. The tolerance, humility, and patience that are needed for this kind of pluralism are ideal qualities to encourage in students, as well as all citizens. These qualities are essential for students’ “moral formation”—a concept that may seem passé in today’s culture but has traditionally been the hallmark of higher education. Emile Durkheim, a founder of the modern field of sociology, wrote in 1925 that formal education inherently cultivates these kinds of qualities, which serves both society and the individual. The ability to navigate the tension between self-interest and the good of others—which is, coincidentally, the core challenge of religious practice—is perhaps one of the most important outcomes a college education can have. The Cooper Union Muslim Students Association, albeit small, is also an active religious organization; one that I am personally involved with. When I first arrived as a student at Cooper, I had no idea whether or not there was an MSA at our school like there is at many others. I remember in my first or second week seeing a poster on one of the bulletin boards, simply listing the five prayers that are mandatory for Muslims to perform every day and an e-mail address for contact. A single person, a graduate student who was finishing up his masters was the entire MSA, and he himself was actually a convert to Islam. Today the MSA is almost 20 students strong. They organize meet-ups for performing daily prayers; the group chat dings throughout the day, “does anyone want to pray right now?” and students grab prayer rugs from the fifth-floor lockers and head on down to the second-floor staircase where prayers usually take place. The value of this cannot be emphasized enough. 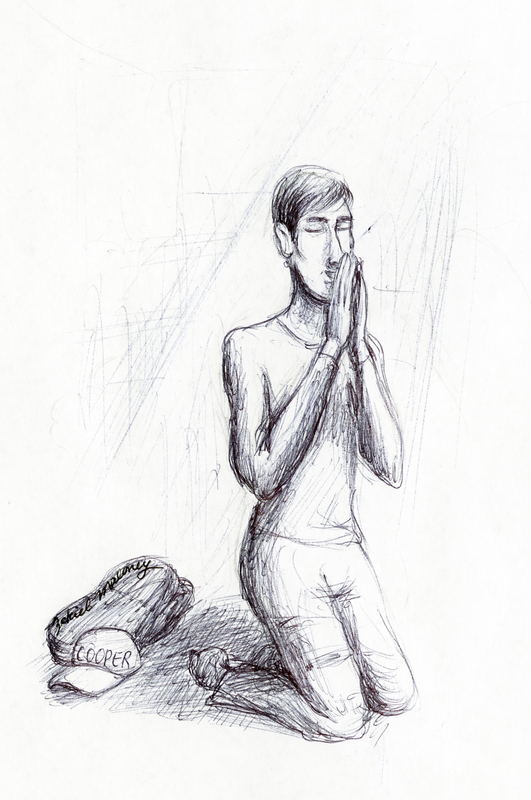 Fulfilling the five daily prayers is not an easy task when considering the workload and business of the average Cooper Union student. Having a group of brothers who encourage this practice is very helpful when it comes to balancing school and religion. Asides from this daily prayer, which can be fulfilled individually, the MSA also holds a weekly congregational prayer. Attending the mandatory congregation at a mosque is difficult for many students because of conflicts with class and work. The MSA provides a weekly, student delivered sermon and prayer. Topics range widely from mercy, the importance of seeking knowledge, setting goals, giving charity, and much more. The Cooper Union Hillel supports the Jewish community on campus. Unfortunately, Hillel was unable to comment. It’s Too Easy to Cheat! It’s a problem that finally caught the attention of administrators and faculty during the past wave of finals, but prevalence of cheating at The Cooper Union has long been a point of contention among “honest” students. It is especially heinous in certain curved classes, where undeserved high marks throw off the average, directly impacting everyone else’s grades. Only by understanding why and how cheating occurs can effective preventative measures be developed. An inflated GPA is certainly appealing, but the real draw lies in how easy it is to get away with and how hard it is to prove. It’s not to say that nobody notices: with such a small student body, cheating is readily apparent and repeat offenders gain a certain notoriety. Even cheaters well-known among the other students aren’t at any direct risk of punishment, however: The ChE department’s recent letter to the students details how one might go about reporting academic dishonesty, but makes no mention of what, if any, actions would actually be taken in response to the report. The fact of the matter is, reputation just isn’t enough evidence. Notice how Snoop isn’t in jail despite being widely known as a botany enthusiast? Or, similarly, how Al Capone had to be arrested for tax evasion despite being an infamous mobster kingpin? So, they’re safe as long as they’re discrete, right? As it turns out, even getting caught in the act is not enough: during last semester’s finals, one professor actually did catch several students cheating on the final, and even though the Dean was eventually called down, nothing came of it because verbal testimonies are meaningless: anything short of absolutely undeniable hard evidence runs the risk of turning into a game of he-said she-said. In theory, it makes perfect sense for accusations of academic dishonesty to require rigorous proof; otherwise, a professor (or, indeed, another student) with a personal vendetta can easily get somebody expelled over a baseless accusation. But in practice, it means that the scary-sounding consequences of academic dishonesty are merely a vicious dog with no teeth. Only the most blatant, heavy-handed incidents actually result in punishment, with the vast majority of cheaters effectively granted amnesty. The risks are low, and the rewards are high; when personal integrity is the only thing at stake, it’s no surprise that cheating is such a widespread disease. Knowing that it’s all but impossible to punish cheating after the fact, professors need to take a more proactive approach: by making it harder to cheat in the first place. The fact of the matter is that a lot of cheating occurs simply because of how easy it is. Much like how bike locks are primarily intended to “keep honest people honest”, there’s some surprisingly simple measures that can be taken to combat the most common forms of cheating, simply by making it a bit less convenient to do so. Aside from the obvious phone-under-the-table trick, one popular ploy is “the Human Centipede”, a staple of Great Hall exams. A group of friends will sit together in a row, with the kid who actually studied passing their answers up from the front like a game of telephone. Multiple forms, even with the problem numbers scrambled, does nothing to deter this behavior as long as the questions themselves are repeated. As this method is entirely dependent on sitting among friends, it’s somewhat surprising that assigned seating isn’t the norm for large exams. Another favorite is the “Better Late than Never”, usually used after short weekly quizzes, in which a group will share answers and correct their papers together before handing it in well after the time limit. This type of cheating could be curbed by more strictly enforcing time limits, as well as some basic attentiveness on the professor’s part. Then you have the old “Let’s Ask Yesterday’s Section Because They Took Literally the Same Quiz” trick, which… seriously, cheating should never be that easy. Invest some time into making multiple forms with different computations and this problem would basically go away. Some professors merely employed TA’s who hardly walked around the room, which isn’t much better than those professors who made no attempt at all. On the other end of the spectrum, during some exams, students were required to move their coats, bags and phones to the front to remove potential hiding spots for cheat sheets and notes, a trivial policy that at least appears to be effective. The article “Something We Don’t Talk About” set the ball rolling for the topic of mental health and how what we go through as Cooper students plays a role in our wellbeing. None of us are strangers to stress here. The expectations from professors and the mountains of work are sometimes enough to push people past a breaking point. As Cooper students, we are a unique group of people that are here because we deserve to be here. But we are all also unique in that stress, anxiety, and depression manifests within each of us differently. Not everyone goes through that amount of stress here, but enough of us do for us to bring it to light and talk about it candidly. The numbers are increasing, more people are talking about it, and now the question is: how can we help? And we have been talking about it more candidly and openly than before. Every one of us has ranted about their stress and other negative feelings to their friends and family at least a few times. More and more people are becoming more comfortable with the idea of talking about the depression, anxiety, and other illnesses they experience because the stigma surrounding mental health is lessening. This recognition about mental health could come in response to the increasing rates of depression. According to the Anxiety and Depression Association of America, depression currently affects 6.7% of people ages 18 and older living in the United States, while anxiety affects 18.1% of the same demographic. These numbers have nearly doubled since 1998. However, it is also possible that our openness to talking about mental health has led to the increase in these numbers, as more people are made aware of the importance of their mental health leading them to seeking diagnosis and help. No matter the cause, the numbers continue to grow. It is projected that depression will become one of the most prevalent medical conditions in the world, second only to heart disease. The numbers are increasing, more people are talking about it, and now the question is: how can we help? Few of us are licensed therapists, so all we can really offer is a listening ear, emotional support, and love for those who need it. In some cases, that’s all it takes to help someone feel better. The article “Something We Don’t Talk About” was focused on the counseling sessions offered to students at Cooper and mentions that only 20% of the student body takes advantage of these sessions. I strongly recommend to anyone who feels the need to talk to someone to go to counseling! I took advantage of counseling the first moment I could. Before Cooper, I was a little stressed and I had days where I felt pretty down. Unfortunately, I had no resources to which I could reach out to help me when I needed it. When I came to Cooper, the stress I knew before developed into full-blown anxiety. In high school, I had friends that suffered from test anxiety and I never understood what they were going through until I sat down for my first chemistry exam at Cooper. The room spun and I felt a rising sense of helplessness for the duration of the test. The anxiety came back in different forms at different times throughout the course of my freshman year whether I was taking a test or not. It was a stranger in my head that wouldn’t go away. I had never felt anything like it and had no idea how to handle it myself, so I scheduled a counseling session with Nicole, one of the counselors, the first chance I had. That session I had with her not only let me familiarize myself with the counseling Cooper offers but also gave me the help I really needed to begin tackling the anxiety. Since then I have become familiar with both Nicole and Philip and have seen both counselors regularly with plans on returning. The counseling program we have at the Cooper Union is currently expanding. Neither Nicole Struensee nor Philip Bockman are employed full-time at Cooper, so the school is hiring a full-time counselor to work with students. According to Dean Chris Chamberlin, “having a full time person here will provide a level of consistency and integration with Cooper as well as expand what we can do.” Although both Philip and Nicole are skilled at their jobs, having a full-time counselor at the Cooper Union would allow that person to develop a better understanding of the culture that Cooper students experience. The person in this role will organize programs and workshops that proactively raise awareness about mental health in a meaningful way. Schoolwork is important, but what’s more important is your well-being. That’s not to say that Nicole or Philip do not have a good understanding of the Cooper culture; on the contrary, Dean Chamberlin says that response to counseling has been “overwhelmingly positive.” However, the school’s desire to hire a full-time counselor shows that the administration cares about students’ mental health and wants to help the students as much as possible. Kylie Jenner was right: 2016 really is the year of realizing things. Perhaps it’s because of the current political climate or the never-ending social unrest in our country, but in any case, there is something about this particular year that has given me new perspective. Take for instance my role as a college student, a part of my daily life that I have never really thought about in grave detail up until this past school year. if you have no foundation in academic integrity? It hit me when I discussed post-college plans with my boss this past summer, only now the future that I’ve been planning for myself at a young age was not that far away anymore. Coming to terms with how close you are to your career really makes you appreciate the honor that comes with receiving a higher education. It truly is a gift to be given this great privilege, which is why I find it disgusting when others blatantly disrespect it. Cheating, in particular, has become somewhat of an epidemic at Cooper, with more and more students falling victim to this pathetic act. We’re long past the years of storing a cheat sheet inside a hollow eraser. With the invention of the group chat and other means of quiet communication, classroom cheating has, unfortunately, become easier for students. It’s quite unfortunate to see students succumb to cheating in order to get by in school, yet the unapologetic demeanor with which they do so is certainly the most baffling. Besides, cheaters have good reason to be apologetic for their behavior, as there are severe consequences if they are caught. According to the Code of Conduct, which can be found in the Course Catalog, cheating and similar “acts of fraud” are Category A offenses. Students guilty of such violations are subject to a number of different punishments, especially of the highest form. “For these categories of violation, the sanction will ordinarily be suspension or dismissal,” as explained in the Code of Conduct, clearly stressing the long-lasting effects of even a single stupid action. The Engineering Student Council plans on releasing a statement before finals to address actions needed to take place in order to combat cheating at Cooper. It’s about time for everyone to start taking their education seriously. Cheating is unforgivable in all forms, but when you’re this close to the future you’ve spent all those years of schooling to prepare for, it’s downright idiotic. Think about it: how can you expect to succeed in the workplace, where trust and responsibility are key, if you have no foundation in academic integrity? To professors who do not enforce penalties on students that cheat: you are negating the hard work of students who took the time to actively prepare themselves in your class. It’s true that we are old enough to decide for ourselves what is right or wrong, but you’re entrusting us with too much responsibility here. There are unfortunately some students who could care less if they cheat; they even shamelessly do it to your face sometimes! You know that one student that asked to use the bathroom in the middle of an exam? Surprise—probably cheating!